As of now, more Indians are buying gold online, compared to offline medium. Even Diwali shopping is now done online! More than one lakh crore worth of digital payments will made by Indians by the end of 2014. Within a short span of couple of years, Narendra Modi has become the 6th most popular leader on Twitter. In the recently concluded Lok Sabha elections, we saw how much engaged and active the Indian youth was on social media. Social media sites had to initiate special programs for the leaders simply because the Indian youth was present mostly on digital platform. And in some ways, social media did influence the elections as well. With more than 150 million social media users in India, it is now a well known fact that social media sites such as Twitter, Facebook and Google+ have become the playing ground of the Indian youth. For an entrepreneur or a marketer, it becomes imperative to evaluate and judge how the nation’s youth is interacting and making decisions on the basis of social media influence. The behavioral pattern on social media and the close analysis of the way our youth is engaging with the platform makes for a fascinating case study for anyone who wants to do business or spread an idea, using the social media and the digital world. With this intension in mind, Simplify360, a social media intelligence firm carried out an interesting survey of Twitter users from India. The motive of the survey was to understand how Indian Youth is using Twitter as a means of communication and participation in social events and occasions. Out of the surveyed respondents, 20% were female and 80% were male. 45% of them were aged 30+; 37% of them were between 25-30 years and 13% were between 18-22 years. 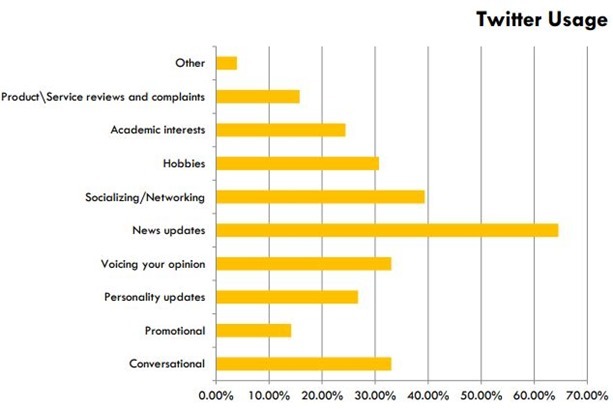 – 9PM to 12AM is the prime time of engagement, as 27% of the respondents used Twitter during this time interval. 19% used social media site between 6PM and 9PM. 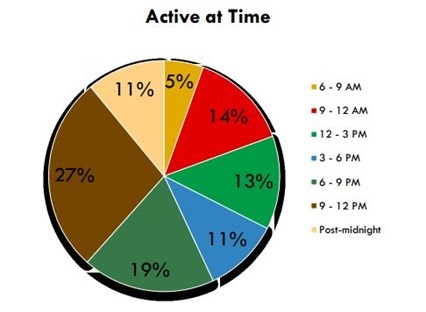 Only 5% used Twitter between 6AM and 9AM. – Friends and Colleagues are the type of persons which are mostly followed by Twitter users. Politicians and Activists come second in this popularity whereas Technology Experts and Entrepreneurs are the least followed by the respondents. – Interestingly, within the Twitter eco-system, ReTweet feature is mostly used by the respondents, whereas DM or Direct Message is the least likely used function. 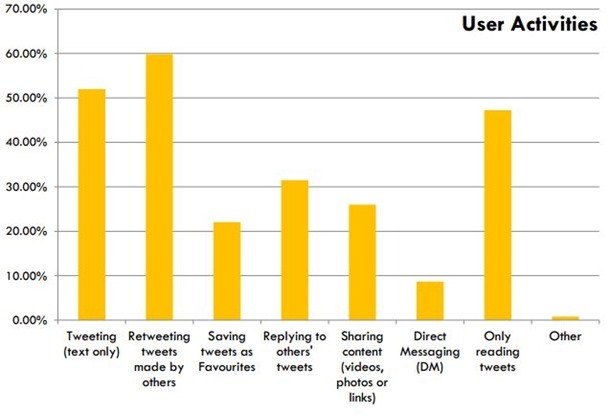 Compared to creating Tweets, our respondents preferred reading existing tweets. – Getting news update is the reason # 1 to access Twitter. Voicing opinions and having conversations are the other important reasons of using Twitter. – Politics, Sports and Humor are the main niches where Twitter users love to access content. Other popular areas include Travel, Cinema/TV Celebrities and Technology. Religion and Spirituality is the least interesting subject. – Most of the survey respondents thought that Twitter must allow more characters to be included in the Tweets. – The reason why Indian users are on Twitter is because it provides ease of usage and helps in networking. Kimbho vs WhatsApp – 7 Kimbho Features WhatsApp Doesn’t Have! WhatsApp Group Video Calling Rolls Out; Did You Get This New Feature? Facebook Launches Voice Posts, Save For Later, Story Archive in India!